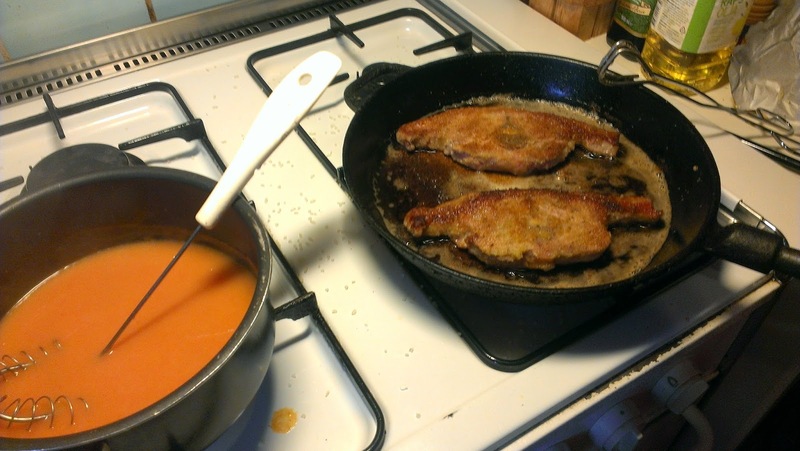 For the 6th challenge, I wanted to try a recipe from a new (for me) cookbook, the 1835 "Handbok vid den nu brukliga finare matlagningen[...]" by Margareta Nylander which originally was published in 1828 (i.e. "Handbook for the presently common finer cooking"). As usual, scroll to the bottom of the page for a quick write-up! In the preface the author claims that all recipes in the book are thoroughly tested to ensure suitability for the Swedish cook, especially the one working in a better kitchen. 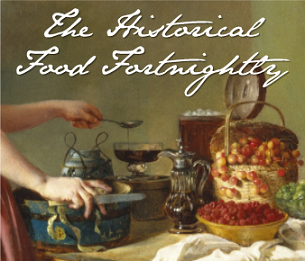 I thought that was interesting, because I found a recipe that included tomatoes, something I hadn't heard of this early in the 19th century in a Swedish context. I asked a friend who is more versed in antique cookbooks, and she knew of one even earlier recipe from 1821. That cookbook, however, was obviously directly translated from French and may not have taken into account what was actually used and available in Sweden at the time. According to the vendor, this variety (Costoluto Genovese) is common in Italy and has been around since the early 19th century. I had to try and research the history of the tomato in Sweden, and even to I couldn't reach a conclusive verdict, I found some clues. 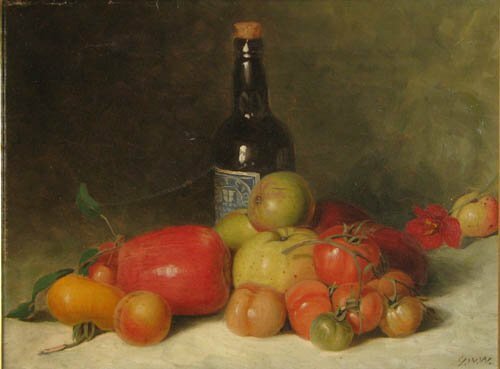 First, the tomato wasn't called 'tomat' as we say presently in Sweden when it was first mentioned; it was called 'pomme d'amour' (love apple) - isn't that darling? Carl von Linné naturally knew of the tomato since he was the one that classified the plant, but he believed that the fruit was poisonous when grown in a Scandinavian climate because it couldn't fully ripen (which isn't true, of course) although he acknowledged that the tomato was successfully grown and healthy to eat in countries like Spain. How long this assumption prolonged, I do not know. In 1811, a book on household matters by Nicolas Appert was translated into Swedish from French and describes when tomatoes should be harvested (I have only read a snippet from the book so there might have been more). Again, since this was a translation from French, the mere mentioning of tomatoes is not definite evidence of them being commonly eaten or available in Sweden at the time. George William Whitaker, late 19th century? Then I found a wonderful book on Google Books, a 1815 dictionary of commerce. It lists all sorts of things that could be produced, manufactured, grown, caught and eventually sold, both domestically and internationally, from lace to iron. The entry for 'love apples' is short and doesn't exactly tell us if the tomato was actually imported to Sweden but I still think it is interesting that it's mentioned. The entry describes the tomato as common in Spain and Italy, where it is used for soups as well as pickled with pepper, oil and salt and also eaten as a refreshing and cooling snack. Then we have the 1821 cookbook I mentioned above, and finally the 1835 recipe I decided to make for the challenge. Up to that point it's still hard to say how common tomatoes were in Swedish kitchens, but thankfully it gets easier after that but I'm going to limit myself to mentioning that tomato jam was offered for sale in Stockholm in 1842 and in 1853 were plain tomatoes (this time called 'tomat') advertised in a Stockholm newspaper. And in Swedish-speaking Finland tomato seeds for gardening were available in 1852, so I think it's fair to say that by the mid-19th century, tomatoes may not have been common but certainly not unheard of. The tomato sauce was equally non-complicated. Tomatoes were cut into wedges and put into a sauce pan with a piece of butter and some water to simmer until soft (well, the recipe didn't say as much, but it made the most sense to me). 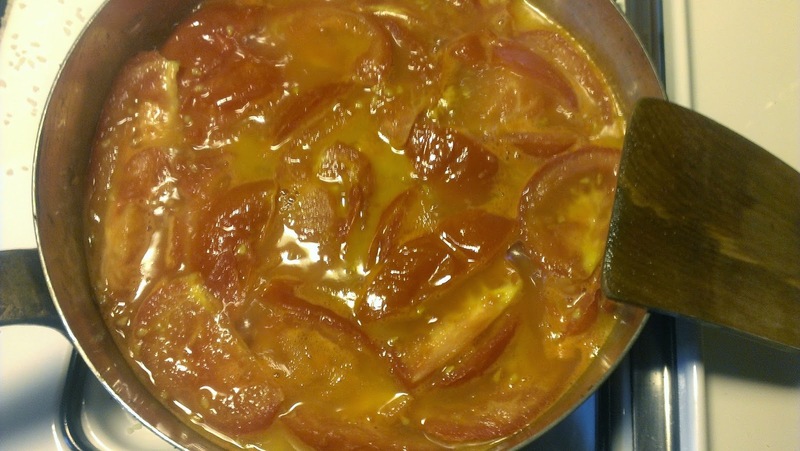 The tomatoes were then strained through a sieve, thus. Then I melted some butter with flour in a saucepan, added bouillon (the non-period cubed variety...) and lastly the tomato sauce. It simmered on until the thickness seemed acceptable and was served on a dish with the lamb chops as per instructions! The colours are a bit off in this picture (even though I tried to correct them in PS) but I can assure you that it looked much better in reality. The sauce wasn't tomato-red, but a softer orange shade, like Campbells tomato soup (I added the chopped parsley just for some additional colour). And when all was said and done, the sauce actually did taste like a mild tomato soup. Since the recipe didn't call for any additional seasoning, except for the bouillon, it was not a huge sensational experience, but nice all the same (then again, Swedish commercial tomatoes are a bit bland even when they're at their best). The lamb chops, well, they were lovely because you can't go wrong with lamb chops, in my opinion. The bread crumbs really added some yummy texture (and extra fat to be sure!). So, considering how easy and comparatively cheap this recipe was, I'd absolutely say this was a success. My husband liked it as well and he's not always easy to please so that's something! The Recipe: Lamm-Kortletter med Pommes d'Amour-Sås (Lamb chops with tomato sauce) from Margareta Nylander's cookbook (online version courtesy of Umeå University Library). The Date/Year and Region: Sweden, 1835. 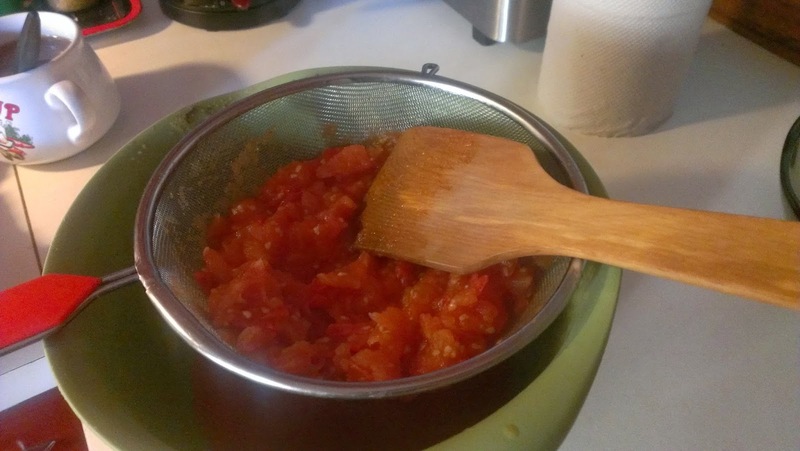 How Did You Make It: I cooked tomatoes with butter and water until soft, then strained them through a sieve and added the juice to melted butter with flour and bouillon and cooked until thick. 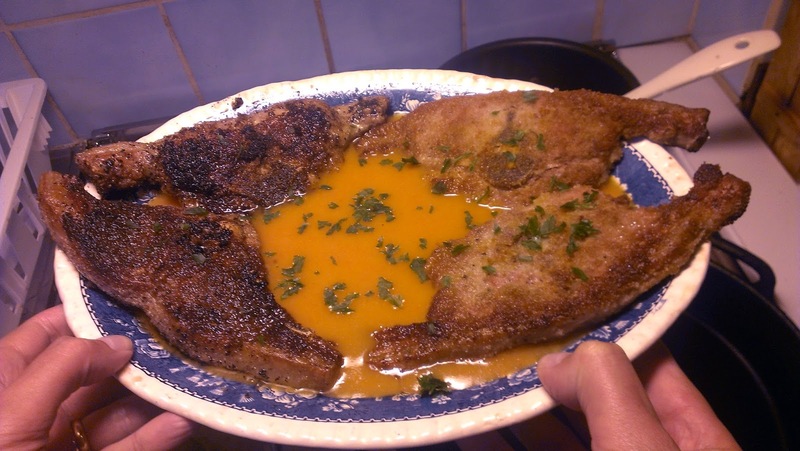 The lamb chops were seasoned with salt and pepper, then dipped in clarified butter and breadcrumbs and fried in butter. Time to Complete: Less than 30 minutes. Total Cost: The biggest cost were the lamb chops, since lamb is often expensive where I live, the rest was cheap or I had it on hand so let's say about $11/8EURO for two persons (we were very hungry so i planned for 2 small lamb chops per person). How Successful Was It? : The sauce was nice, if a little bland, probably because Swedish tomatoes tend to be a little bland! Some herbs, like basil, would have been a nice addition. 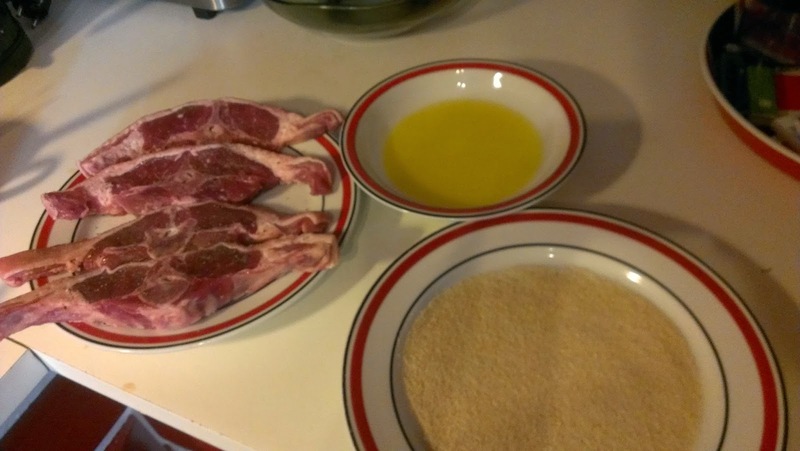 The lamb chops were delicious with a breadcrumb coating. How Accurate Is It? : Well, firstly, I how no idea how tomatoes tasted in 1835 so I used modern, normal commercial tomatoes. I also used store-bought breadcrumbs and modern store-bought bouillon cubes. So, not quite accurate after all.